Not too long ago, an academic symposium on Taking Administrative Law to Tax would have been just that -- academic. For decades, the tax law sat comfortably isolated from administrative law doctrines that governed other areas of law. Courts frequently applied tax-specific deference standards to IRS guidance, and the tax bar was largely indifferent to the Treasury's many violations of the Administrative Procedure Act. But all that changed when the Supreme Court rejected tax exceptionalism in Mayo v. United States. As the articles in this Symposium show, the Court’s decision has brought great attention to the intersection between tax and administrative law, and this increased attention will have significant consequences for tax administration.  This foreword weaves together and discusses the highlights of the articles in a short, easily digestible format, and it will get the reader up to speed on Mayo's potential impact on tax law. 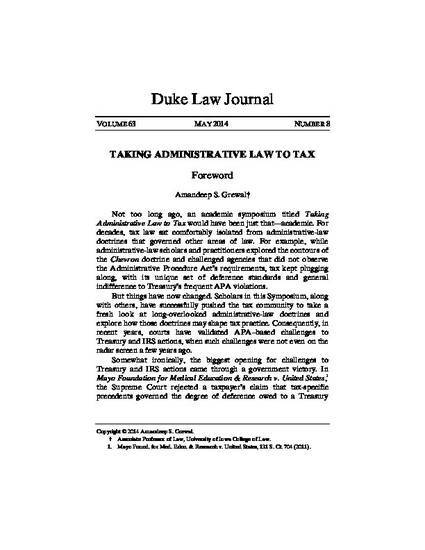 Amandeep S. Grewal, “Foreword (Symposium: Taking Administrative Law to Tax),” 63 Duke Law Journal 1625 (2014).